Teleflora's Bold Beauty Bouquet in Maumee OH - Emery's Flowers & Co.
A bold, beautiful gift they'll never forget! 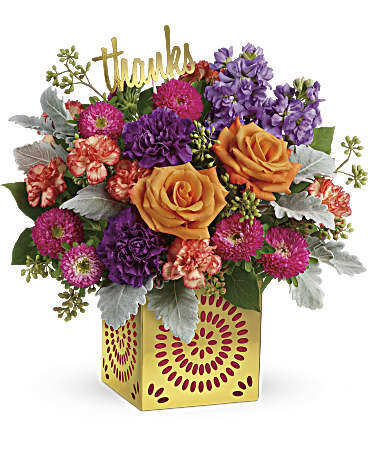 This colorful bouquet of roses and asters blends oranges, purples and pinks in a shimmering golden cube with pretty punched detail. 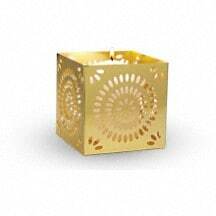 Remove the liner and it's a gorgeous candleholder!